Could Trump Policies Help Lead to Light Bulb Freedom? (Joshua Paladino, Liberty Headlines) Many Americans were furious when the federal government essentially outlawed traditional incandescent light bulbs, stripping consumers of their freedom to choose what to buy and reinforcing the bureaucracy’s belief that it can regulate anything it wants. The Trump administration and the Department of Energy could roll back those regulations, and they have already denied expansions to the incandescent light bulb ban. The Heritage Foundation gave many reasons why Americans might want incandescent light bulbs — their warm light, their low price, their low-risk ingredients, and their warmth. All these are good reasons, but one is sufficient: the federal government does not have the authority to regulate what Americans purchase. Sen. Rand Paul, R-Kentucky, ripped the DOE for its nanny-state policies in 2011. But proponents of the ban say it has facilitated the switch toward LED lighting and saved consumers billions of dollars in energy costs. And the fight for regulatory control over the light bulb has high stakes, Utility Dive reported. “The light bulb standards are far and away the biggest energy efficiency saver of any standard — aside from vehicle — that the government has ever issued,” said Andrew deLaski, executive director of Appliance Standards Awareness Project. Higher energy efficiency standards for incandescent bulbs phased in beginning in 2012, with the federal government banning 40-watt and 60-watt light bulbs in 2014, The Verge reported. Cheap, 25-cent incandescent bulbs disappeared from the shelves and 43-watt halogen incandescent bulbs took their place, costing customers more than $1.50 each. Bush’s home appliance standards law wasn’t an outright ban on incandescent light bulbs, though. The law required the most common light bulbs to use 27 percent less energy by 2014, Regency Lighting reported. Although the halogen incandescent bulb costs more up front, consumers could save on energy costs. 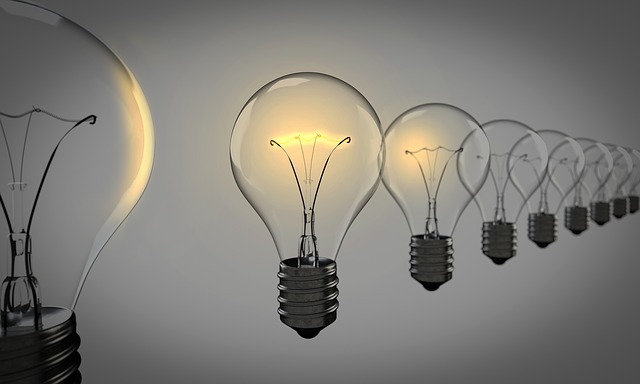 A 60-watt incandescent bulb costs about $8 per year to run for 3 hours per day, while a halogen incandescent bulb costs $6 to generate the same amount of light for the same amount of time. Incandescent bulbs cost more because they do not operate as efficiently as halogen and LED bulbs. About 90 percent of energy used in incandescent bulbs creates heat while 10 percent generates light. The 60-watt LED equivalent light bulbs will cost upwards of $13 each at the store, but energy costs at home would drop to about $1 per year. These bulbs also last much longer. A halogen bulb will last only a few years, but an LED bulb can last up to 20 without dimming. Energy efficiency advocates want to accelerate the transition to LED lighting, but the Trump administration has pushed back by spiking some last-minute Obama administration regulations that would have killed the last of traditional incandescent bulbs. Noah Horowitz, director of the Center for Energy Efficiency Standards at the Natural Resources Defense Council, said the transition to LED light bulbs nationwide would save $22 billion per year. According to the Appliance Standards Awareness Project and American Council for an Energy-Efficient Economy, this would amount to $180 per year in savings by 2025. The National Electrical Manufacturers Association sued the Department of Energy last year because it failed to issue clear, updated energy efficiency standards by 2017. The group says regulations have artificially sped up the transition to LED bulbs. But the Trump administration does not have the power to fully roll back current efficiency standards unless Congress changes the 2007 law. Since the DOE did not update efficiency standards, a “backstop” was triggered in the law, enacting a “minimum efficacy standard of 45 lumens per watt” by 2020, Utility Dive reported. But NEMA questioned whether the minimum standard would become law. Manufacturers worry the regulations would pick winners and losers and force traditional light bulb makers out of business. “NEMA’s view is that the marketplace is doing an excellent job of transitioning to more efficient lighting solutions,” the group said.